Poster Child Magazine’s Junior Fashion Correspondent, Ella Mendelsohn, shares 3 looks perfect for a weekend sleepover with friends. Cozy up with these awesome looks at your next weekend away! I am obsessed with the beautiful floral print on these PJs (Delia from My Little Shop, $77)! Also, this grey head-wrap is super soft and such a cute accessory (Urban Outfitters, $12). I have these slides (Steve Madden, $40) and they are very comfortable and can be worn in many ways, the color is amazing! Blush for fall is a huge upcoming trend and I love it! 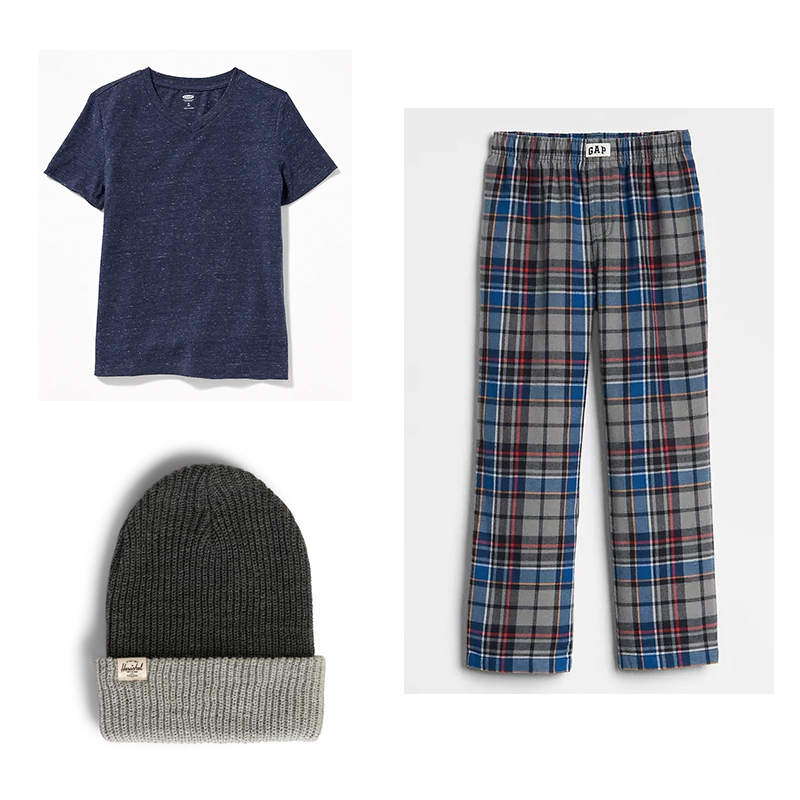 These PJ pants are super cozy and this tee is so soft (Gap, $25)! This tee can also be worn during the day but it’s also a great piece to lounge around in at home (Gap, $11). I paired this look with a cool beanie to keep you warm (Herschel, $15)!